and to have my senses put in tune once more." We were at a Family Reunion in Yellowstone National Park last summer. One day we picked a steep, wooded hillside overlooking the roaring Yellowstone River for our spot for a picnic lunch. It was a feast for the senses. The noisy movement of the rapids below, the fragrant pines towering over us, the ants, the dirt....all of it was nature at it's finest. 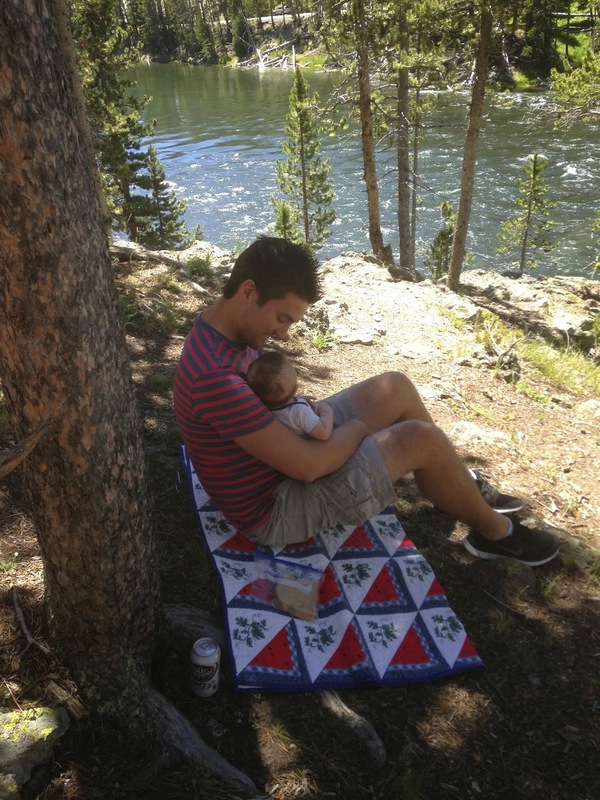 Our son in law, Matt, held his 10 week old son, Zane, as the breeze blew through their hair. Later while in a bookstore in the park, I bought a copy of "Last Child in the Woods - Saving our Children from Nature-Deficit Disorder" by Richard Louv. Reading it had a profound impact on me. The past sixty plus years have brought about some huge cultural shifts away from our experiences with nature to the detriment of our physical, emotional and spiritual health. We moved from the farms, to the "burbs," to the cities. Our yards, if we have them, have decreased in size. There is less open space in our communities and what there is is often not accessible to us for play or exploration. Our careers became more time consuming. Our children went into daycare for longer periods of time. We bought TVs and then computers, thereby dramatically increasing our time indoors. We've made exploration in nature forbidden, illegal or scarey. When was the last time you saw a kid climb a tree? Remember when breaking your arm in grade school was a normal part of childhood? Now, the school, park, camp, etc., worries about being sued if your child breaks their arm on their watch. We are more stressed and experience more chronic health issues. ADHD is an increasing problem. We've all experienced a shortened attention span. We have a whole generation of youth who have never experienced things like random, unstructured play. Children are not curious about nature as they used to be. Because they've not experienced nature-explorative play, they have no idea there is a whole world out there to be discovered. It's not hopeless. Change is possible. But you have to be intentional in seeking it and making time for it. Even in urban areas, there are ways to expose a child (and adults) to the beauty of nature and to give them opportunities to see, touch, hear, smell, etc. After getting rid of most of our camping equipment from our early-married years we bought a used Casita fiberglass trailer and have taken up the camping life again (which I never thought I'd do!). Part of our thinking is that not only is it going to immerse us in nature more, but it will provide more learning development and natural curiosity in our kids and grand kids as well, not to mention the relationship-building that will happen as we spend time together outside. 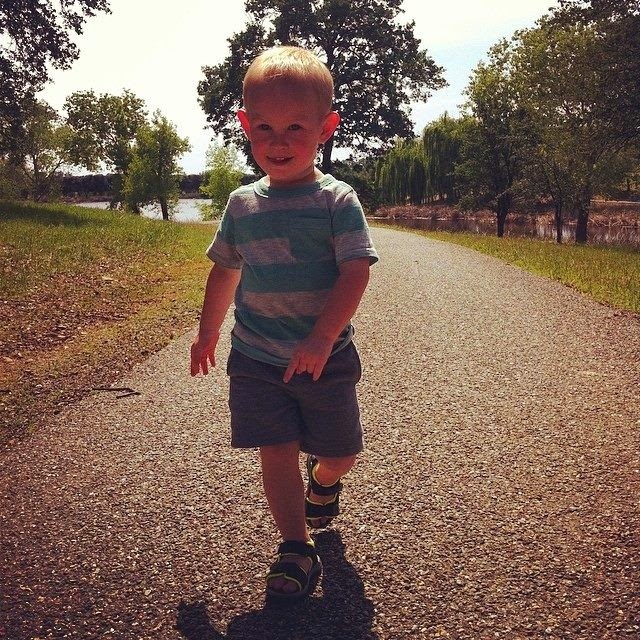 My 26 month old grandson, Jaksen, prefers to be outside. He is now able to walk a mile. No stroller needed. You have to be willing to take your time on the walk though as he has to check out his surroundings...the twigs, the water, the ants, the dirt. It's a feast for the senses.